Having a hard time writing father of the bride speech for your daughter on her most important day? 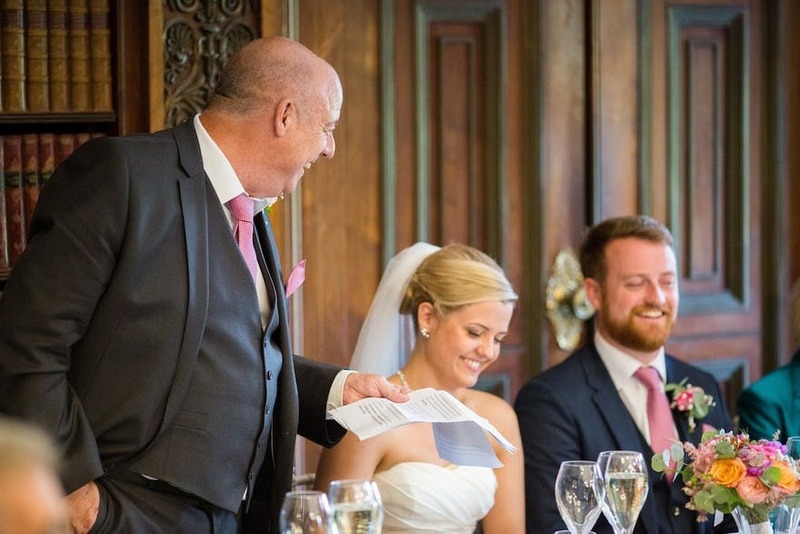 Here’s some father of the bride speech guide that you can try to write an awesome one. Traditionally, at the wedding day reception, It’s usually the bride’s father who is the one to make a first speech to the wedding guests. The father of the bride is usually seen as a bit of a warm-up act. However, remeber it’s your daugther’s wedding day so with a little effort, you can make sure your moment in the spotlight is something to be remembered. You need to introduce yourself, but it doesn’t have to be long. Just tell them your name and let everyone your are the father of the bride and maybe crack a small joke to make yourself feel relaxed. Make a formal welcome to everyone, and don’t forget thank them for coming. It’s also great to mention the bride’s mother and the groom’s parents too. Just say what’s in your heart but as much as possible something that is positive. Recall a funny anecdote or simply tell her how proud you are of the woman she’s become. This is her big day, so say something memorable and touching. Formally welcome the groom to your family. You can mention how you felt about your son in law when you first met him, or a moment when you’ve been particularly glad he’s around. Try to be positive about the future and moving forward with him as a family member. As the elder speaker at the wedding, you should include some of your wisdom and tips to the happy couple. This could be about maintaining a healthy marriage or living a happy life. This is also a good place to throw in some jokes, however, err on the side of tasteful. You don’t want to upset anyone. End your father of the bride speech by asking everyone to stand and raise a glass to the happy couple. The best man will do something similar at the end of his speech too, but it’s the traditional way to close yours.